Wiki Loves Monuments is over. And after a photo competition, there should be a winner. Through the month September, photos were uploaded of monuments in more than 50 countries and in October national juries decided which pictures were the best for each of the 51 competitions. They submitted up to 10 pictures to the international finale, which resulted in a pool of 503 magnificent and diverse images of cultural heritage. The 2013 competition was in many ways a unique experience. Not only was it once again the largest photography competition (more than 365,000 submissions! ), but there were also more countries participating in Wiki Loves Monuments than ever before: 52 countries in 51 competitions. Those countries were not only larger in number, but also more spread over the continents and cultures. For the first time we had Arabic countries participating, many Latin-American and Asian countries joined for the first time, and we also accepted images from Antarctica! A jury of six members was set to the task to judge the finalists, and they did so with great care. You will find their process and deliberations described in the jury report linked at the bottom of this blog post. That jury report also includes the Special Awards we announced earlier and more background information about the monuments. It is about time to announce the winners of the finale of Wiki Loves Monuments 2013! In this blog post I will only mention the top-10 pictures, but you can find more pictures and more details of the top-41 in the jury report. 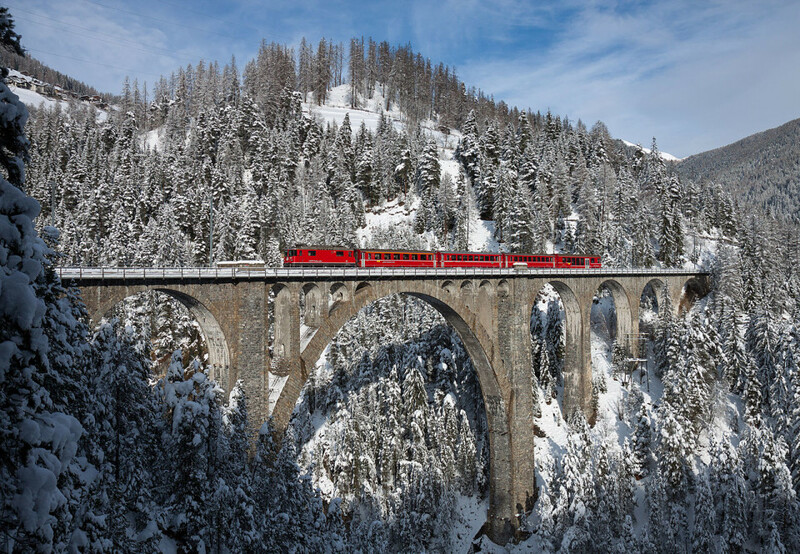 The first prize (you can see it at the top of this blog post, CC BY-SA) is a picture of a locomotive with a push-pull train crossing the monumental Wiesener Viaduct over the Landwasser river in Graubünden, Switzerland. It represents a nice harmony between monument, human and nature, while the red train draws attention to the middle of the picture. The picture was submitted by David Gubler, who is also active on a Swiss website dedicated to photos of trains. 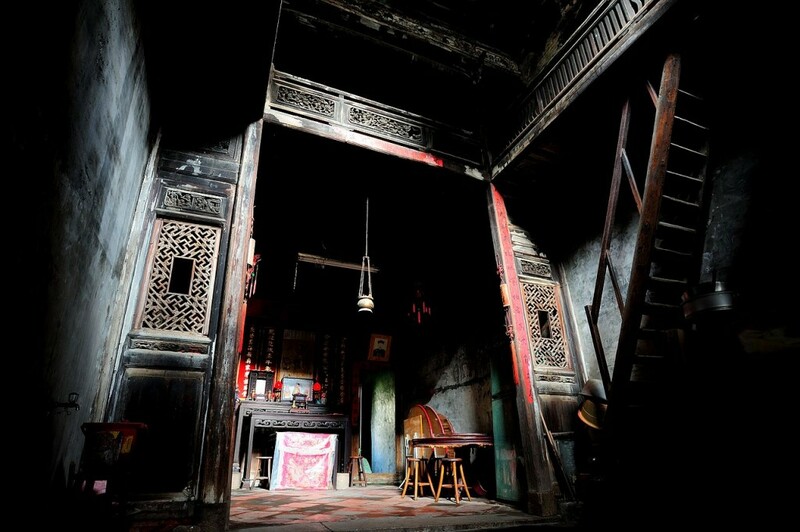 The second prize (below) goes to a wonderful photo of the 19th century Shi family abode in Lukang, Taiwan. The picture gives great attention to detail and captures the imagery, history, tradition and narration all in one photograph. The picture was submitted by Husky221, who submitted several other photos to the competition. 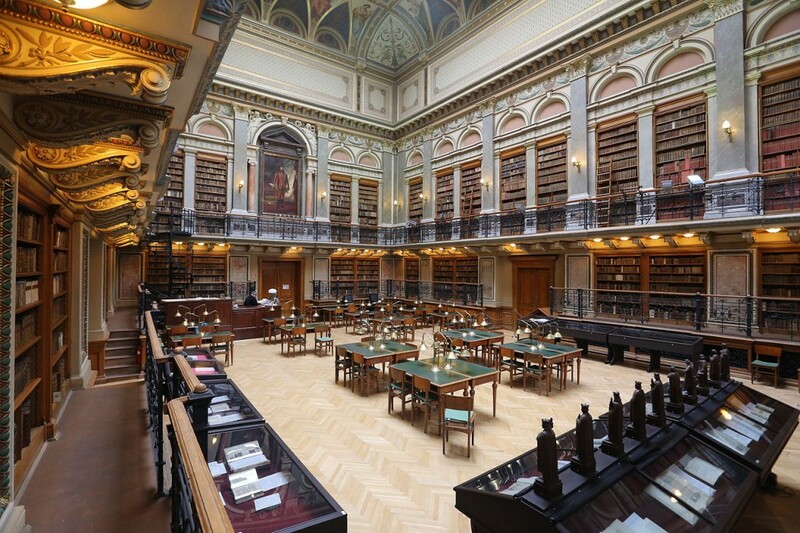 The winning picture for the third prize displays the eclectic University Library of Eötvös Loránd University in Budapest, Hungary. With this picture, photographer Thaler has impressed the jury by capturing almost all details possible, and making the viewer wonder why the library is so empty. It is a photo worthy of the room. 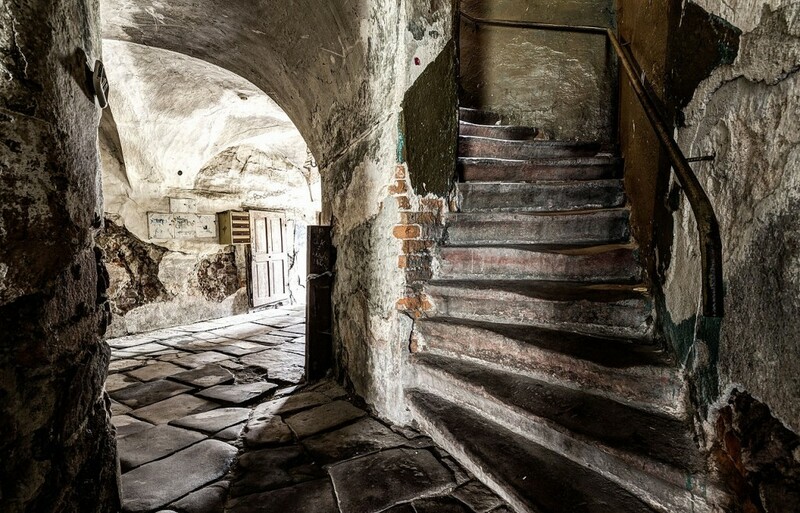 The fourth prize is a very intimate photo of a staircase in a 17th century weaver house (twice rebuilt) in the Polish city Nowa Ruda. The photo shows clearly that the residential staircase has been used very often in the centuries past, and plays with the light to showcase the architectural details. This is the highest scoring picture of a very successful photographer in this competition, Jarek Ciurus (Jar.ciurus) who sees four of his submissions rewarded with a place in the top-20 of this international finale. The fifth prize is perhaps in many ways the opposite of the previous picture. 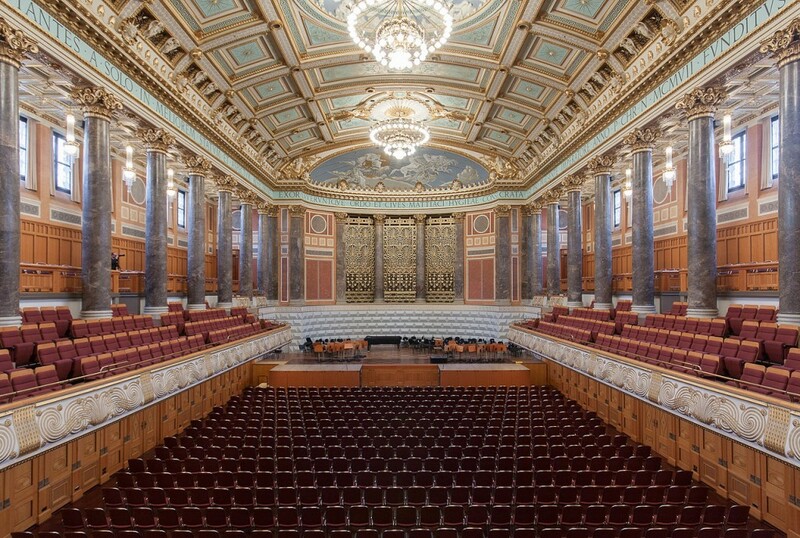 It displays the grandeur of the congress and concert hall in the early 20th century spa in Wiesbaden, Germany. This picture by Martin Kraft is impressive, in part because of its wonderful symmetry. If you look closely in the left of the picture, you can see that he was not alone in photographing this hall – it was captured during a ‘Wikipedia takes’ event earlier this year. 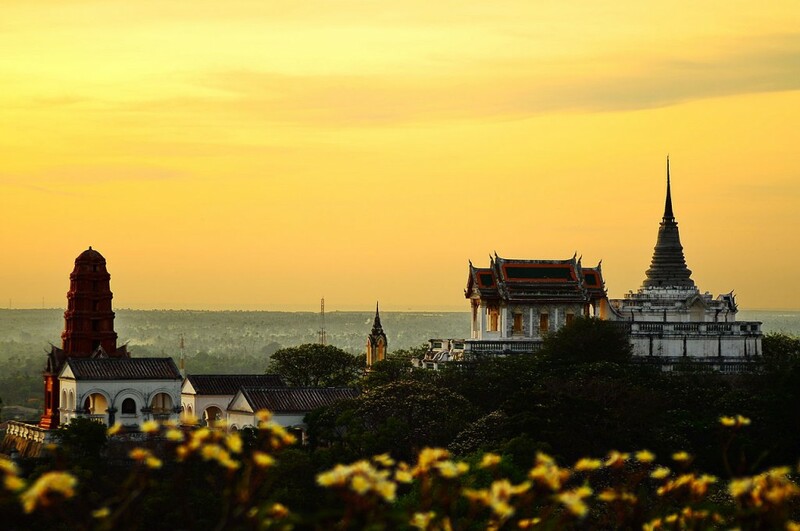 The sixth prize shows the Phra Nakhon Khiri Historical Park in the Phetchaburi province, Thailand. The park was a summer palace built during the reign of King Rama IV (19th century) and this picture from Kritmongkholrat Arunsuriya combines the rundown monument with the blurry frangipani flowers in the foreground and the equally golden sky in the back. 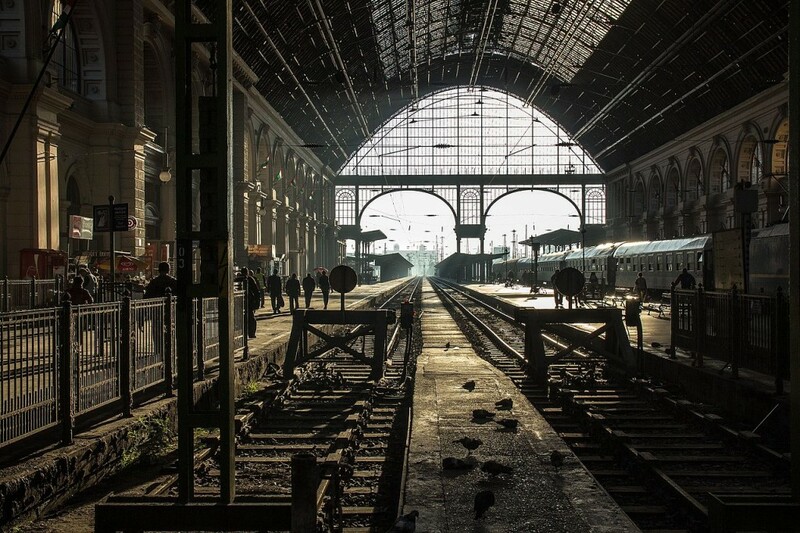 The seventh prize shows a monument that is still in active use: the Budapest Keleti Railway Station, the most important railway junction of the capital city of Hungary. The eclectic building was built in the 1880s and was then one of the most modern railway terminal in Europe with electric lights and an automatic railroad switch system. The photo by Németh Tibor has an attractive framing and perspective, giving it a natural and timeless look. 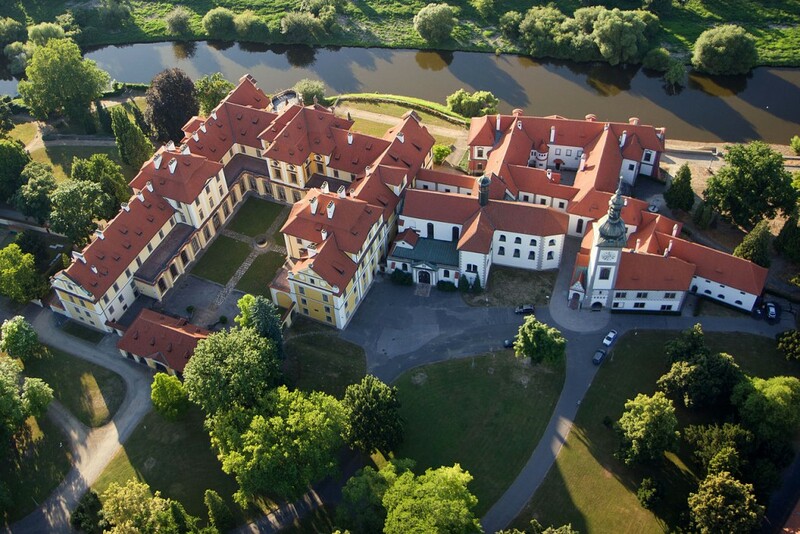 The eighth prize goes to an aerial view of the Zbraslav Chateau in Zbraslav, Czech Republic. Originally built as monastery, it was rebuilt in 1785 as a chateau and in the future it will become available for the National Library. Thanks to its angle the aerial view gives a good impression of the ensemble, which would be impossible from the ground. The picture by Zdeněk Fiedler almost makes the complex look as a miniature. 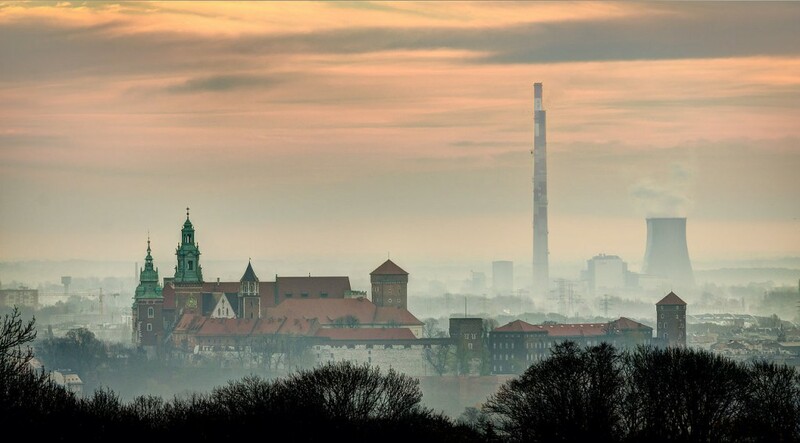 The ninth prize goes once again to the Polish photographer Jarek Ciurus, with his misty photo of Wawel Hill and the heat and power station in Krakow, Poland. Wawel Hill is a significant place to the Polish people, as it was until 1611 the formal seat of the Polish monarchy and contains the place of coronation, a national pantheon and the mausoleum. The composition is full of art and well composed, giving a contrast between the historical hill and the modern power station. 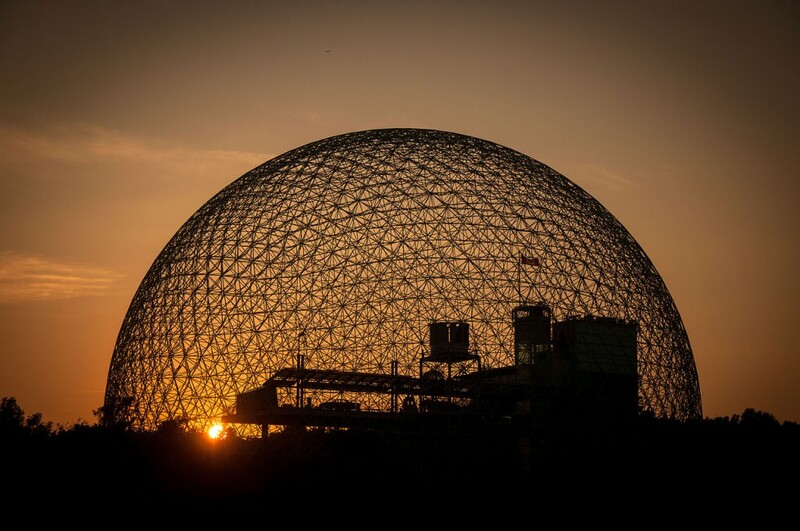 And finally, the last picture in this series: the tenth prize is for a photo of the Biosphere in Montreal, Canada. The semisphere was originally built as a pavilion for the United States at the 1967 World Expo and now serves as a museum dedicated to the environment. The jury was impressed by the amount of detail that was captured by the photographer, guilhermeduartegarcia, and commended the excellent control of light in different places in the photo. We hope you enjoyed this selection of the finest pictures from Wiki Loves Monuments 2013 as much as we did. We have published a somewhat larger selection in the jury report, and the full selection of finalists is available on Wikimedia Commons. In the coming weeks we will spend a bit more attention to the various national winners in a short series of blog posts. The Jury Report is now available on Wikimedia Commons: low resolution (pdf, 3 MB) & high resolution (pdf, 57 MB). I would like to thank the jury for their excellent work, but even more so all the hundreds of volunteers all over the world that made this competition possible. Thanks to them we have been able to pull off this competition for a fourth time in a row, every year more amazing, more wonderful. With excitement we look forward to what the future will bring. Stay tuned to wikilovesmonuments.org for more news when it becomes available! All images in this blog post are, as most images posted on this website, available under a CC BY-SA license. Lodewijk "Effeietsanders" Gelauff has been an active member of the Wikimedia community since 2005; over the years, he helped out as a steward and an administrator of several wikis as well as a board member of Wikimedia Nederland, member of the Chapters Committee and organiser of various internal Wikimedia activities. In 2010, he led Wiki Loves Monuments in the Netherlands together with Maarten, and was mainly responsible for the community-related part of the contest as well as for documentation, and internal and external communication. In 2011-2013, he was a member of the international organizing team. After that, he has remained involved as jury coordinator and advisor. There is no license next to the picture on top. Please correct this copyvio! I feel really proud of being in 26th position, more watching the great level for this year in the contest. Here I want to thank all the work you people do for the development of the contest and Wikimedia Commons. Special thanks for Ukrainian, Spanish, Russian and German teams. Me gustaría saber cómo has llegado a conocer que tu posición absoluta es la #26, porque así podría conocer cuál es la mia. Además de los diez ganadores descritos aquí, en el PDF aparecen 41 finalistas del concurso. I would just like to emphasize the incredible job, that Lodewijk has done. The result of this competition, with so many images, deserves the highest praise. It’s a world, great job Lodewijk! Thanks to You! I would like to say that it was a privilege to me to take part in this great project and contribute my humble part to it. Only few days ago I’ve marked several photos as my own favorites and I am glad to see that two of them made it to the top 10 in high positions (2nd and 4th). I will surely add more photos to the site whenever I can – Keep on the good work! These results are rather disappointing. The individual country winners were much better. Nevertheless, I still don’t understand why one of my picture, selected as a “Image of the Day” in the France’s contest…wasn’t selected in the “10 short list” in my country, for the International contest. Thanks Sylvain. While I can’t speak for the French jury (they made that selection), I do suspect that the resolution under which the image was submitted (‘only’ ~1000 pixels) has played a role in this. A mix of 3 criteria is applied: technical quality, encyclopedic use and the wow-factor. Your picture is very valuable, and thank you for submitting it. Thanks a lot for the reply Lodewijk. i feel your pain. wonderful photo. nice tech update of the kite photos of yesteryear. at the top level, contests become crap shoots, but merit remains. the arms race to higher and higher resolutions doesn’t necessarily add value, but you’re in the class with carol highsmith now. i would chip in for a camera fund for you. maybe foundation should have some equipment grants. Thank you very much for your kind words Slowking ! I didn’t understand if you are Mrs. Highsmith or not, but anyway, it’s a great honor for me to be compared to this very talented photographer…which I’m not. (Flying over the CIA Headquarter…Wow !). In fact, I’m sad that the French selection doesn’t really show the real beauty of the french monuments (could I say, one of the “Top 5 countries” from this point of view ?). I agree with you : “simple is beautiful”. From this point of view, the “Arabic countries selection” is probably the best one ! Congratulations to everyone!! To all winners!! Others please don’t be disappointed, best wishes for future!! congratulation to all the winners here. All the pictures are really beautiful. Thanks Wiki for organizing such an event, hope to keep participating. I would be won one day. Je viens de regarder vos photos primées. Elles sont intéressantes sans plus, en général. Ce ne sont pas des photographes qui ont sû saisir le moment artistique des sites croqués. Je me sens frustré d’un aspect artistique qui relève de l’oeil du peintre exercé. C’est possible en photographie!!! Et c’est là que se produit le miracle. Quand peinture et photographie se rejoignent. C’est mon humble avis. Regardez la photo que j’ai soumise de la petite église historique de Saint-François-de-l’Ile-d’Orléans et son cimetière. Vous aurez une idée de ce que je veux dire. Salutations cordiales. Philippon. Yes it’s a photography competition, but it’s also an opportunity to go and learn about cultural heritage, share with the world and to have fun! i don’t have the most high tech camera equipment, but I was able to educate myself on local history, and I had enough to create a new article on the location! That’s what this contest is about for me, sharing and learning! My favourites are 1st, 2nd, 4th, 6th, 7th and 9th, but all images are impressive. Good job!